Here are handrail brackets with a classic pewter finish and a traditional shape. Pewter is an attractive metal which has been used for the production of household and other items for centuries. It has a subtle beauty, is very tactile and gives furnishings an almost antique look. 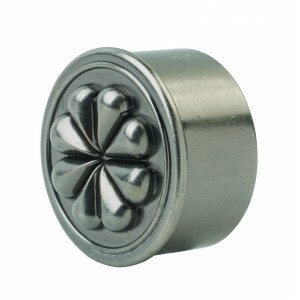 Pewter finishes have a soft and subtle sheen with a dull grey colour. These handrail brackets are also available in a selection of different styles and materials so you can choose a bracket that suits your style, whether it’s a contemporary look you’re going for or a more classic, traditional look.